Learn what it takes to build a successful affiliate partnership that works for your company. FastSpring helps thousands of companies around the world set up productive and profitable affiliate programs that help create new revenue streams. Find the best partners for your business. Learn how to support your affiliate partners. Help your affiliate partners grow into powerful influencers. 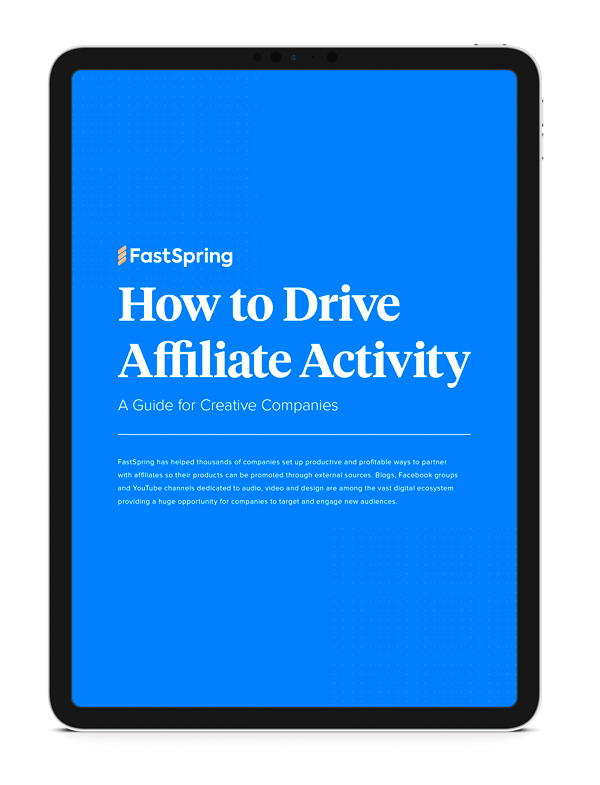 Download the whitepaper to learn how your business can achieve a successful partnership with FastSpring's affiliate program. Unlock "How to Drive Affiliate Activity"